Finding New Link Opportunities Just Got Easier! 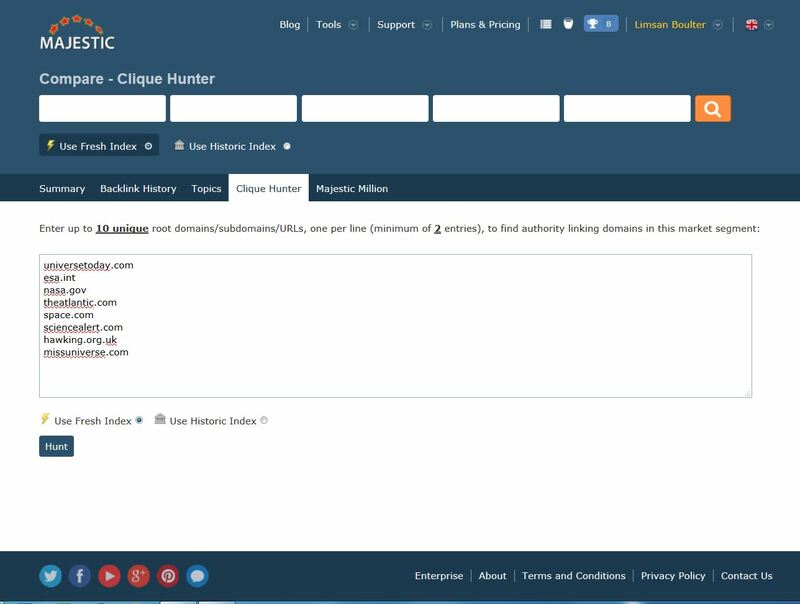 Clique Hunter is a fantastic tool to use when searching for new sources for your backlinks, adverts or blog posts. Being able to analyse up to 10 different domains at the same time, gives you the ability to compare against your competition in one go. For a while now, all the tool was missing was Topical Trust Flow, not any more! 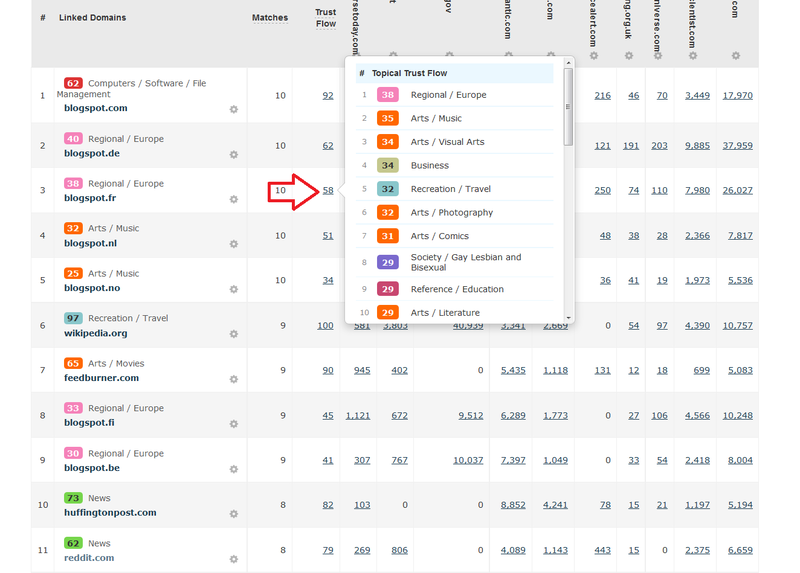 Due to our latest update, you can now see the Primary Topic of the domains within the results, as well as the page. The quickest way to open the Clique Hunter is to use the Tools shortcut at the top of the site, you can find it under ‘Compare’. 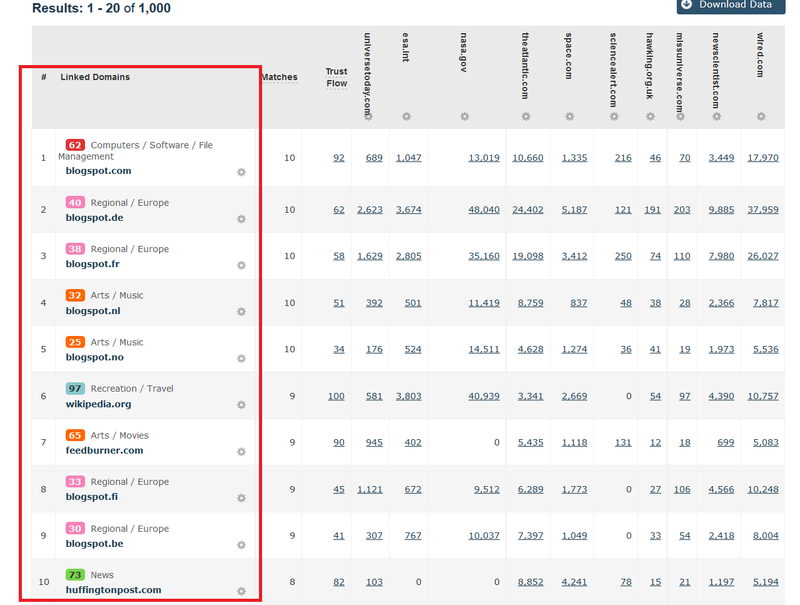 Type in the 10 websites or URLs you wish to use, choose your index and then hit Hunt. The Clique Hunter is also part of our Compare suite, allowing you to seamlessly compare your site directly with close competition across all of our comparison tools. 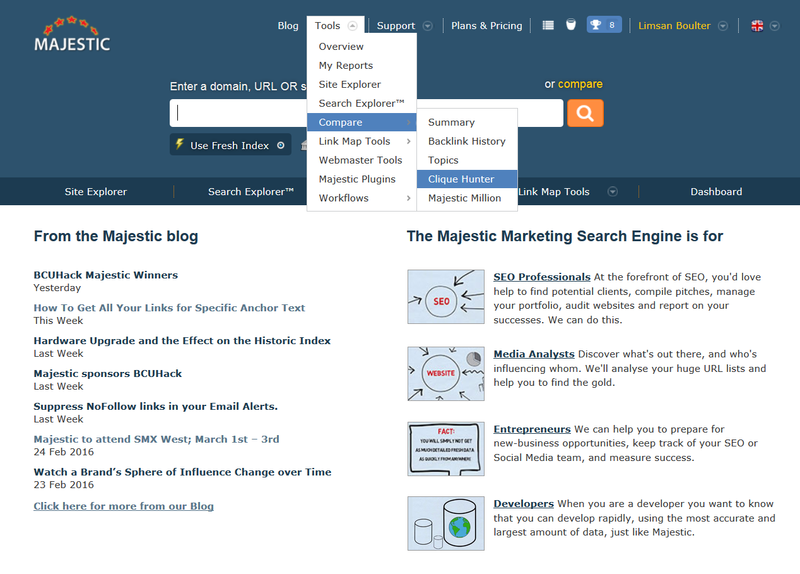 Easily scroll down and cherry-pick the domains that peak your interest by Topic, speeding up your targeting process. You can also click on the total Trust Flow score of the domain and see the top 30 Topics associated with it to see what other industries the site may also have a ‘voice’ in. 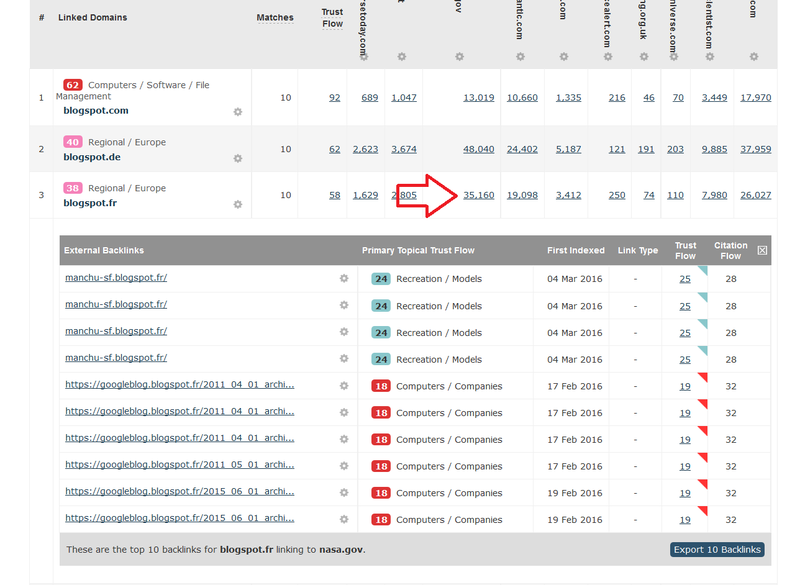 You can also do the same for the individual backlinks from these to truly dig deeper and find out more context, perhaps helping you understand why a site may link to your competitor – for example. What will you be using Topics in Clique Hunter for? Where else do you use our Topical Trust Flow? Let us know in the comments section below!